Berlin-based composer/producer Kyoka is known for her direct, chaotic musical approach and heavy-rough sound. She joined the raster-noton stable as the label’s first female in 2012, and has progressed to become one of the most exciting, individual and original artists on the label. Growing up in Japan, Kyoka’s experimentation with tape recorders led to her recognition of the possibilities of scratching tapes back and forth. She’s an artist who used the tape recorder as her toy, cutting, editing and producing those first rough sounds which would result in her signature broken pop-beat with experimental yet danceable rhythms. Kyoka’s range of dark, skittering sounds beg to be played at maximum volume in a smoke-filled warehouse or club. Her sets reflect a daring fusion of rolling beats and organic, chopped-up vocals that refuse to neatly don’t fit within any genre category- a perfect fit for our Outlands and Supersonic collaboration! 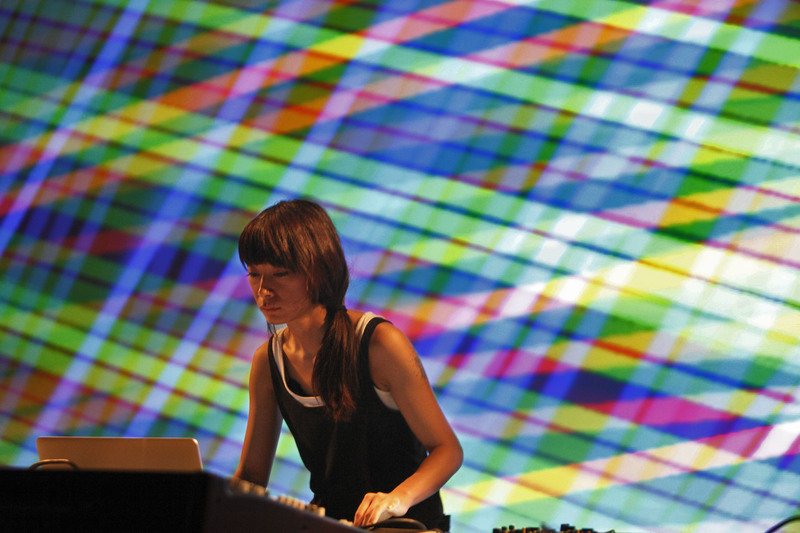 We can’t wait to see Kyoka LIVE at Vivid Projects on November 9th. Get tickets NOW ! !